Is this a record? Only three and a half lines of preamble! That was most auspicious for the numpties as there was no room for explanations of invisible ink removing second items of playfair squares that were to be explained in alternate misprints and extra letters in the wordplay and so on. The title, too, was promising, suggesting to us that something was going to go up or down – or both. 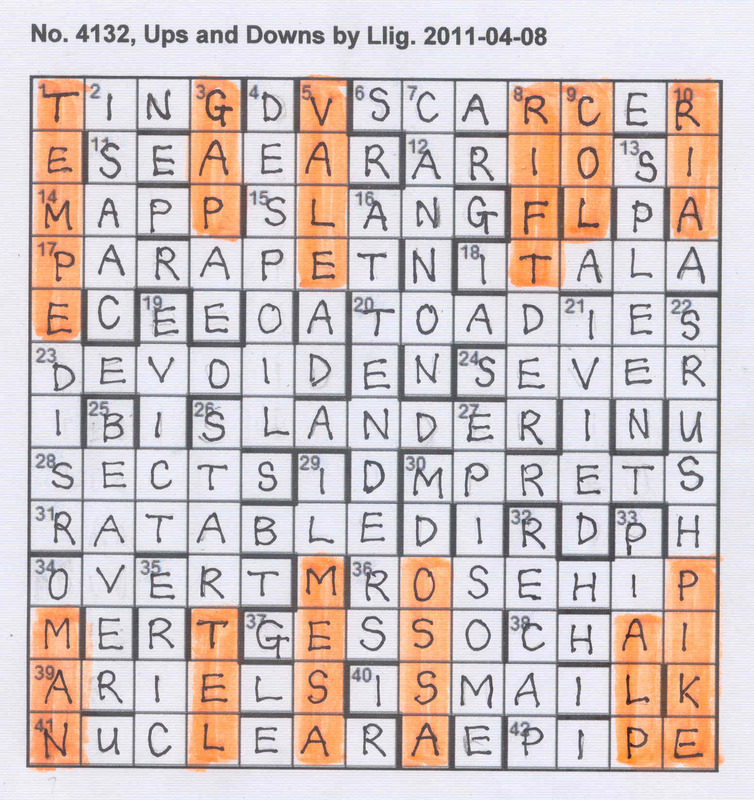 Even better, we had only nine extra words to find and across clues were apparently normal. After last week’s struggle to make our solution fit a torus, we were very happy to have something that looked more within our capabilities. There was just one haunting doubt. What were all those references to Handel’s works doing in the clues and even in the solutions (CANNON, ARIA, ARIOSI) Something in Handel, in the Messiah perhaps, about ‘ups’ and ‘downs’? Solving went full tilt and our suspicions were soon confirmed. ‘Every valley exalted, every mountain and hill made low’ emerged as extra words (roughly a quotation from the Messiah) and suddenly we understood why ‘Oddly steered with tempi becoming eccentric, it gives on the pip’ (DISTEMPER) clearly had to be entered with a T at its head. The Vale of TEMPE had to be exalted. It was a downhill coast from there as the valleys appeared one by one: GAP moving up in AGAPE, VALE rising in Spenser’s AVALED, RIFT going up in DRIFTER, COL rising in ACOL and RIA heading upwards in ARIA. Should Cañon have gone in there at 7d? (Heavy drum has number in musical round N in CANON – I couldn’t see any way to make that work!) How nicely symmetrical that six mountains sank to the bottom of the grid, MAN in MANO, TEL in TELSTAR, MESA in MESAIL, OSSA in MOSSAD, ALP in PALPI and PIKE in SPIKERUSH. That was a most satisfactory conclusion. We enjoyed it, thank you, Llig. I wrongly stated in my last blog for a Llig puzzle, Atom Smasher that that was his 13th Listener. In fact it was his 16th and this is his 17th. The reason for the mix-up? My Crossword Database only goes back to 1991 and I hadn’t realised that Llig had been such a long-time Listener setter; his first goes back to 1983. Now that that’s sorted, on with Ups and Downs. I had two concerns after reading the preamble. Firstly the fact that the extra words in nine clues would summarise a quotation. That could mean anything, and may require a mental leap, the thought of which never pleases me. Secondly, there was no reference to ODQ. Hopefully the nine words would be obvious and the mental leap easily made. After the qualms about the preamble, some good news. Within 30 minutes I had zipped through 15 out of the 23 across clues and 11 of the 23 downs. This must be a record for me. 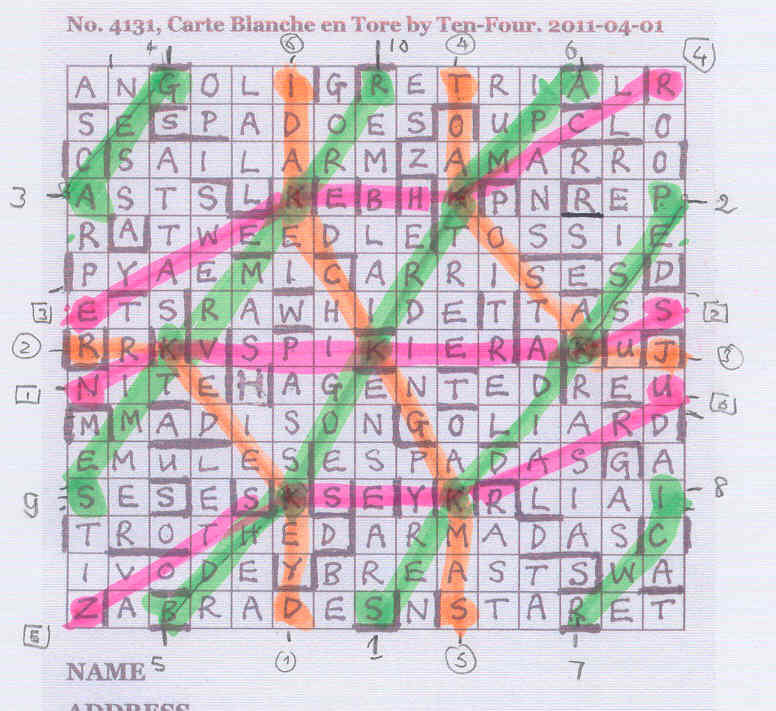 Of course, I also had some squares (four) where the across and down entries clashed. Actually, in hindsight I’m surprised I didn’t have more, given the number of clues I’d solved. Every valley shall be exalted, and every mountain and hill shall be made low. I had four answers, AVALED, ACOL and ARIA, coming down from the top row, and it fitted with my other entries that the valleys, VALE, COL and RIA, could be elevated to top spot to give VALEAD, COLA and RIAA as entries. Somewhere down the bottom of the grid, probably ending in the bottom row, I expected to find answers where words for mountain would drop down to the bottom. Unfortunately, at this stage, I didn’t have any such answers that fitted this theory. 30dn MOSSAD was the first one to confirm it, and I confidently entered MDOSSA, although I needed Google to confirm that it was a mountain in Greece. I polished off the remainder of the grid fairly quickly, and was thankful for an easy task after Ten-Four’s Carte Blanche the previous week. So thanks to Llig, and the editors, for that consideration. and, even though some clues quickly yielded a solution (like 1ac ‘Literary broadcast being heard again’ – RETRIAL with an extra Y, and ‘Earth, it’s missing from mirabilite, oddly’ REMBLAI with an extra I) we seemed unable to solve the first and last groups of clues and convinced ourselves that we didn’t have enough solutions to attempt a grid fill. We had 37 solutions at this point – well beyond the 20 we tend to regard as encouragement to continue and we even had a putative phrase produced by the extra letters YOU CAN DO UP TO SEVEN – JOIN EACH PAIR OF KS WITH LINES THAT DON’T CROSS. What we had to do was fairly obvious but we needed some way to complete our grid. We had OAK MAST, OAK TREE, SPIKIER, ATTASKT and PASSKEY all flaunting Ks but the problem was how to enter them and a traditional grid with square 1 occupied by RETRIAL and REMBLAI got us nowhere. differently. We started filling from the middle out, putting SPIKIER in the central place that symmetry seemed to allocate to it. 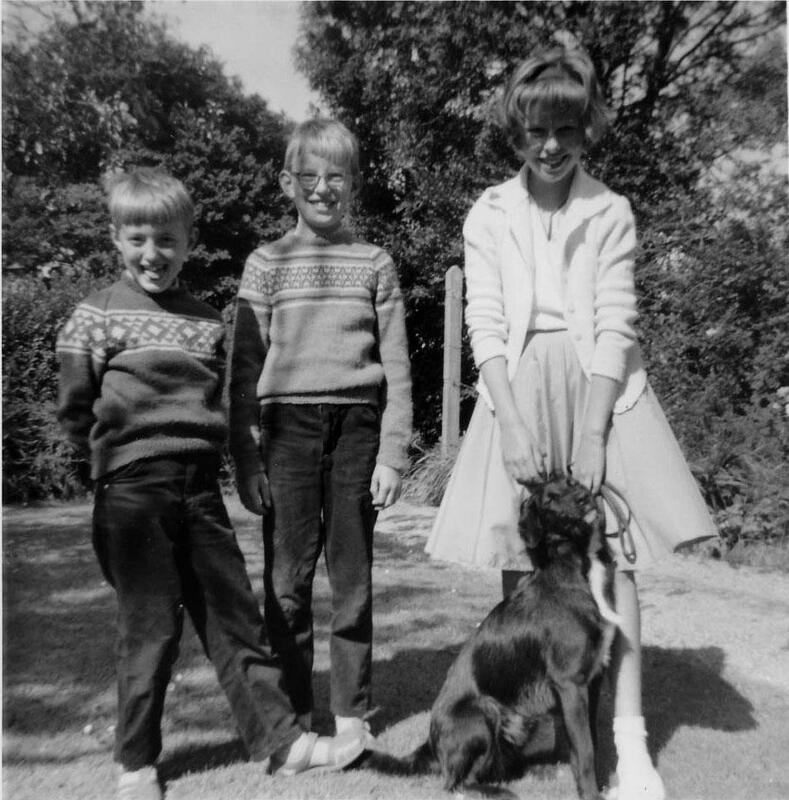 By a stroke of luck, we hit on the intersection of OAK TREE with it and the placing of RAWHIDE just above it and we were away. When REMBLAI finally slotted into place, I was reminded of Phi’s ‘Heart’ where the LEAFBEET started in the centre of the top line of the finally tectonically shifted grid. I wonder whether Ten-Four’s two easy clues at no 1 were deliberately so to mislead naive solvers like me to attempt a grid by fitting them in their conventional place! No, surely no-one would be so devious! With a full grid, we were faced with the next problem. How were we to demonstrate the seven points connected on a torus by straight lines on this flat, two-dimensional surface? 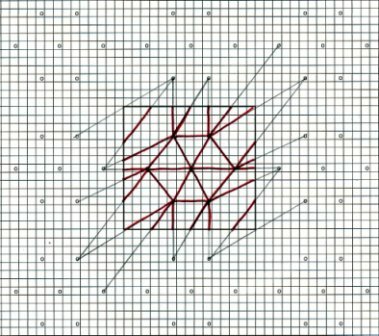 Clearly we could join the points with straight lines, but the lines then had to leave the borders of the grid at the point where they would arrive if the opposite edges joined up. We found an interesting item on the Internet that demonstrated how this could be converted into a tidy geometrical diagram http://enderton.org/eric/torus/torus2.html but ours was more haphazard. However, it clearly worked and, to prove it, the mathematical half of the numpties amused himself by turning one of the old swimming floats from the box in the basement into the said torus with each K having six lines departing from it (or entering it). Poor Mr Green. Not only does he have all those lines to check but also the bars we had to enter at both sides of our grid. I wonder whether the entry will be lower than usual this week. 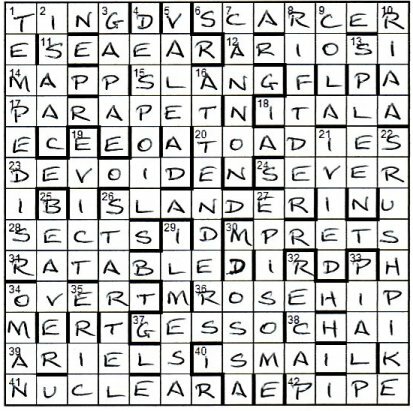 This was certainly the most difficult crossword we have struggled with for some time. 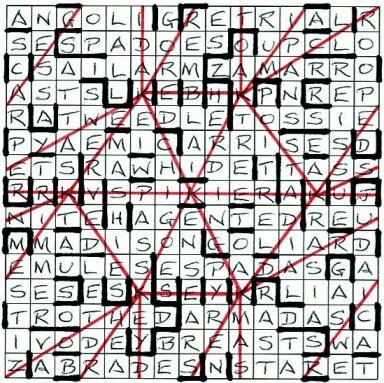 However, we have to acknowledge that it was a construction of genius and a superb crossword, so thanks to Ten-Four. This was Ten-Four’s fourth Listener puzzle. Previously, we had 3914 Zones, 3963 A New Year Message and 4072 The Isolated Word. Although Zones, which involved a neat bit of encoding, was a bit of a pig to check for mistakes, I seem to remember that they were all fairly straightforward. The same could not be said for Carte Blanche en Tore!! For a start, it was an empty grid. Not just a 12×12 empty grid; no, it was a 15×15 empty grid: no bars, no numbers. 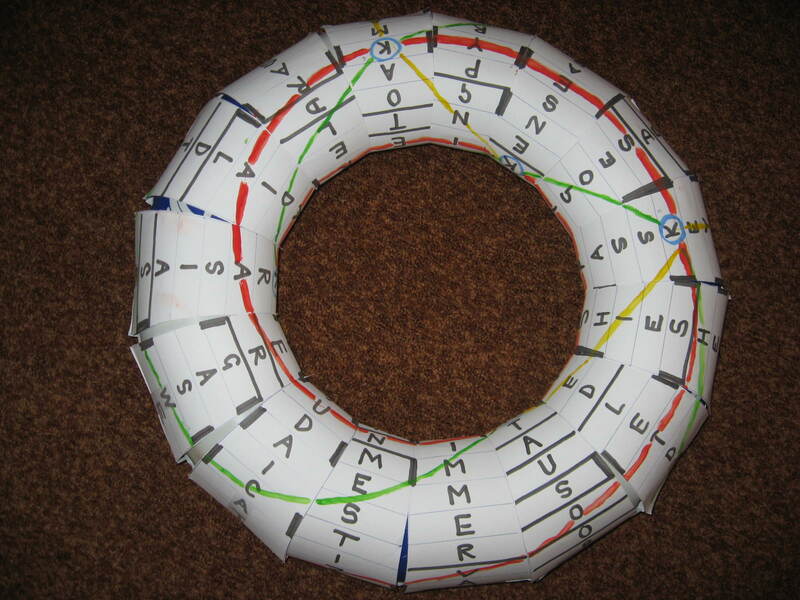 Moreover, it represented a torus with the bottom glued to the top and the right glued to the left. Yes, this was going to be a three-dimensional nightmare! The extra letters given by the wordplay in each clue would, I suspected, lead to an endgame that would also be far from plain sailing. 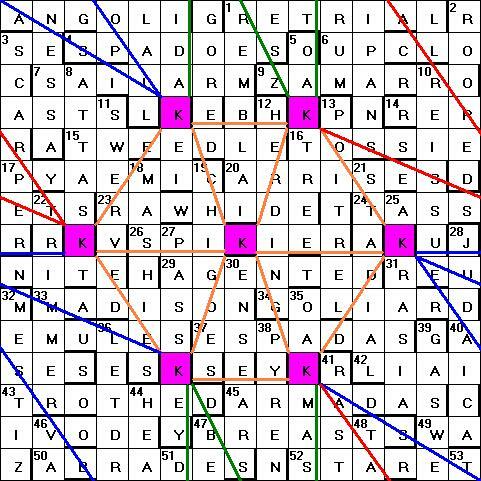 The only thing that helped slightly was that there were an odd number of across clues, so the midpoint at 26ac would be in the middle of row 8. My first idea for this clue (Sharper Winter Olympian perhaps pockets prize) was STARKER, (TAR in SK[I]ER) but the wordplay didn’t really work. So on with 1ac, and RETRIAL could be entered … somewhere in the first row! And, with help from Tea, I got REMBLAI for 1dn. A good start, but one that gave a false sense of security. Apart from a few exceptions, most of the remainder of the clues proved a real tussle. Indeed, the empty grid that I started with was still pretty empty after half an hour! About three hours in, and I had just over half the clues pencilled lightly in the grid. It was about that time that I decided to try and fit some of the clues together to begin to form something a bit meaningful. I had finally got the central answer, SPIKIER. With across answers PYAEMIC, RAWHIDE and MADISON, I tried interlocking SWERVED, MASHIES, PASSKEY and CHIGOES. The centre of the grid was beginning to take shape. Obviously the numbering of the clues gave some indication of their positions in the grid, but it was still a tricky exercise. The fact that only 1 and 47 had both across and down entries didn’t really help much, especially since BEGORED at 47dn (Bloody old boy’s up in bed) was a late clue for me. In fact, Ten-Four had teased us with some real horrors. 2ac Design from the East adopted by Eastern princess turned out to be an &lit clue for RANGOLI (RANI around LOG[O] reversed), a word I’d not encountered before. GOLIARD, AEMULES and WAIVODE together with ATTASKT, AKRASIA, MESITZA and DIDAKEI also fell into this category. 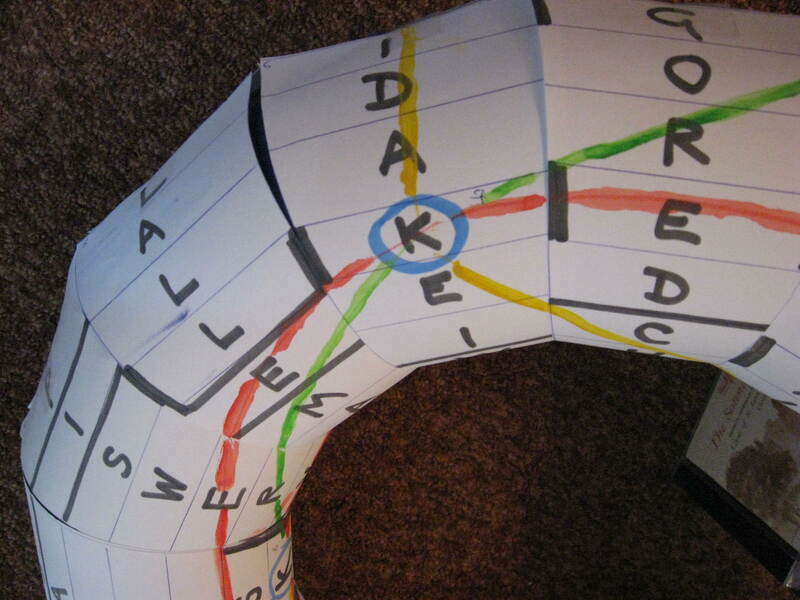 And then there was 29dn Boring journey with a fop (two words) for GAS WELL (G[O] A SWELL), boring here being a noun. My initial doodle highlighted the central hexagon with the seven letter Ks connected. It was obvious that this was only the start. 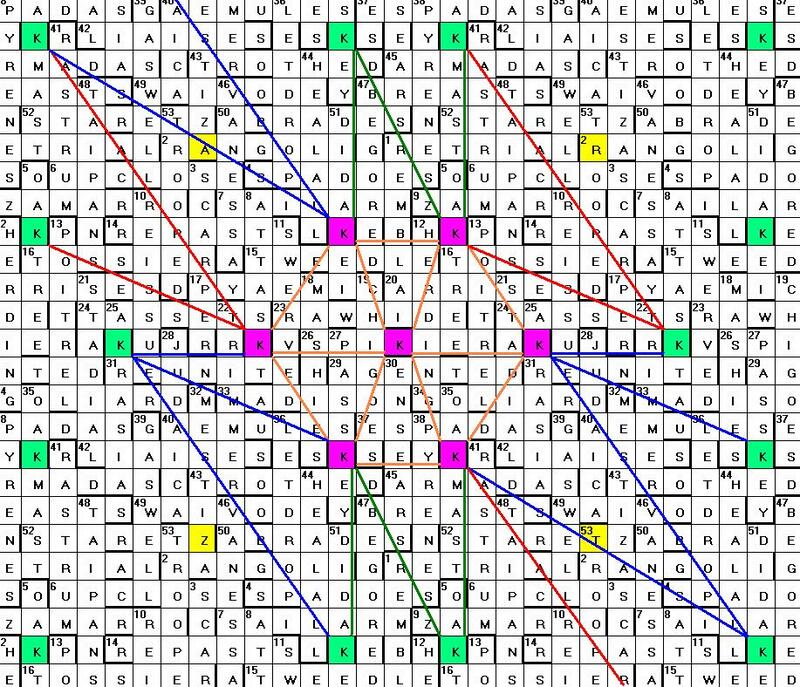 Given the description in the preamble of connecting dots, every point of this hexagon had to be connected to every other point with straight lines, none of which crossed. The central point was connected to the other six, OK; now it was necessary to ensure all the others were connected as well. So I devised a worksheet in Word consisting of the grid surrounded by eight other sets of seven dots in the same pattern. Since the grid represented a torus, this would provide the basis for working out how lines disappearing off one side of the grid would appear at the opposite edge. It was then relatively, and I stress relatively, easy to work out the correct way to connect them. Amazing! It was then necessary to construct the diagram for submission. The first question: Was there a clue as to which orientation was required? I had the lines going from bottom left to top right, but a mirror image was also valid. I looked in the diagram and clues for some sort of indication. I found nothing, so assumed that either would be accepted. It was a requirement to add the bar pattern, including perimeter bars, but not the clue numbers. I commiserate with anyone who missed just one and would be marked wrong even though every other aspect of this tough puzzle was correct. (If I’m one, please don’t tell me!) I must say that I think the addition of bars in this case was entirely unwarranted … except that I suspect it made John Green’s task a little bit easier. And was it necessary to put the bars resting on the perimeter on both sides of the grid? This minor niggle aside, this was a fantastic puzzle. A great idea, a well-crafted grid, and some really tricky clues made this a top-class Listener. And Ten-Four becomes another setter whose puzzles I will approach with trepidation in the future. Ten-Four is one of the many new setters to have appeared in recent years, some of which seem to be burnt-out after just one or two puzzles, but here we have a fourth. From the first three of these, I had him classed as being on the easy side but might that be about to change? Passkey at 27dn looked good starting from the P of spikier and, somewhat later, oak tree (5dn) to finish at the E.
You can do up to seven. Join each pair of K’s with lines that don’t cross. 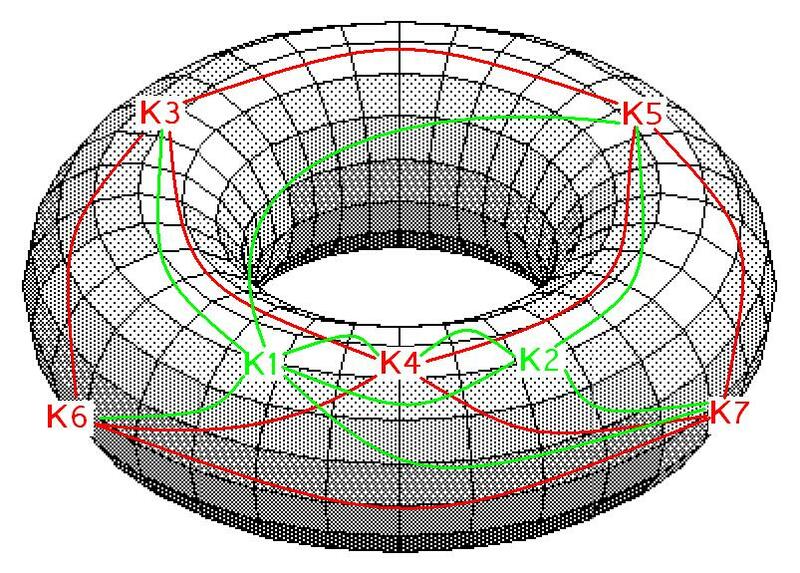 I did briefly entertain the idea that we were to connect the K’s on the surface of the torus using straight lines that could pass through the body and across free space. Since the five K’s were on two separate planes then some lines would only appear to intersect when viewed from above – but this idea was totally unsatisfactory. It is possible that straight was mentioned in the preamble only to suggest to solvers that we should use straight lines in our solution. However, a solution using curves should not be marked wrong provided that they exit and re-enter the grid at the correct points. However, this was far too confusing, as can be seen. A mirror image of these connections will give a valid alternative. Well, I thought this a tremendous puzzle and really enjoyed it. 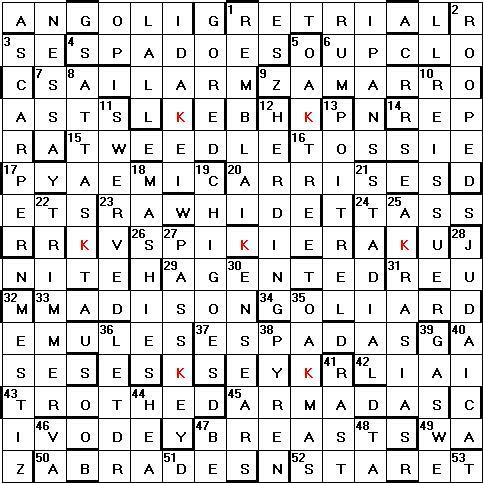 It was a difficult theme to translate into a crossword and I am grateful to the Listener Editors for taking a bit of a chance here – Ten-Four has certainly gone up in my estimation. If I have any quibbles then I might have questioned the need to show the bars in the solution although indicating both the bars and numbers were a great help when solving. Since my bars are offset, they only appear on one side of the perimeter. Had I made an entry then I think that I might have shown them on both sides.